It's even painted in an M5 color. A number of automotive manufacturers are also known for their two-wheeled products, and some of them also produce bicycles. With Audi, for example, the rider isn't necessarily the one providing the oomph, as Audi's e-tron bike is electrically assisted. MINI's bike is made to fit into small spaces just like the car it represents, and hence it neatly folds. Peugeot's bikes have been separate from the automobile manufacturing for 90 years, and have a storied racing history of their own. 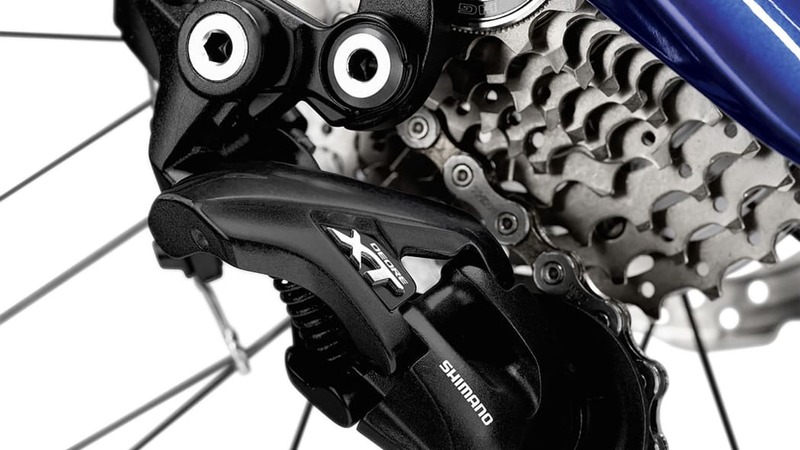 The question with automaker bicycles is, then, if they are a standalone product or an accessory. 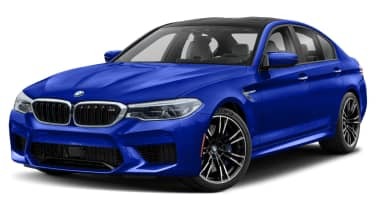 The BMW M Bike Limited Carbon Edition is most likely the latter, as it is designed to match the BMW M5 right down to the Marina Bay Blue metallic color. There will only be 500 examples made, and they are likely to be snapped by buyers who already have an M5 in their stable. The 500 blue bikes are numbered and come with a certificate. 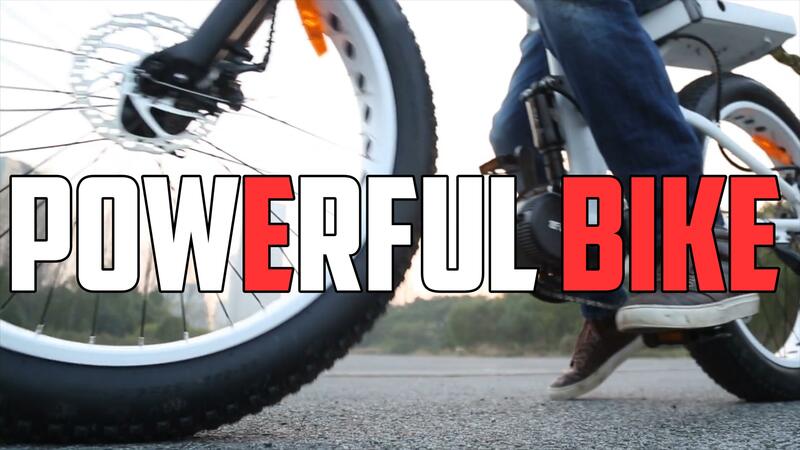 But the bike is built to be ridden, not just kept for show. 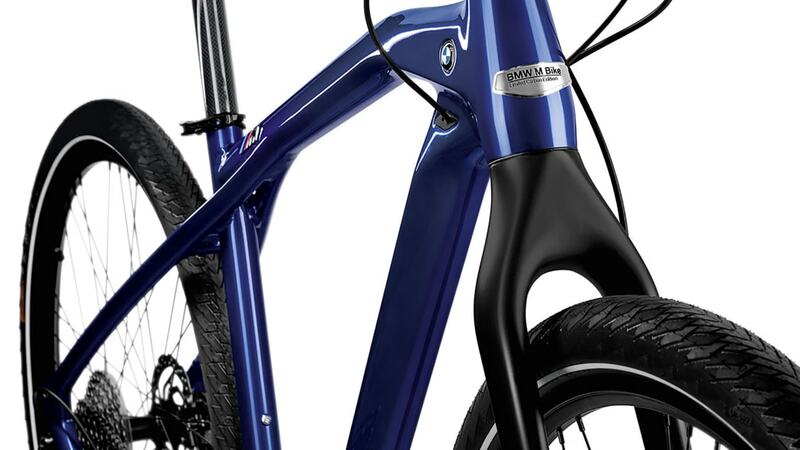 It's designed to be light and agile, with a hydro-formed aluminum frame and carbon fork, seat posts and spacers. 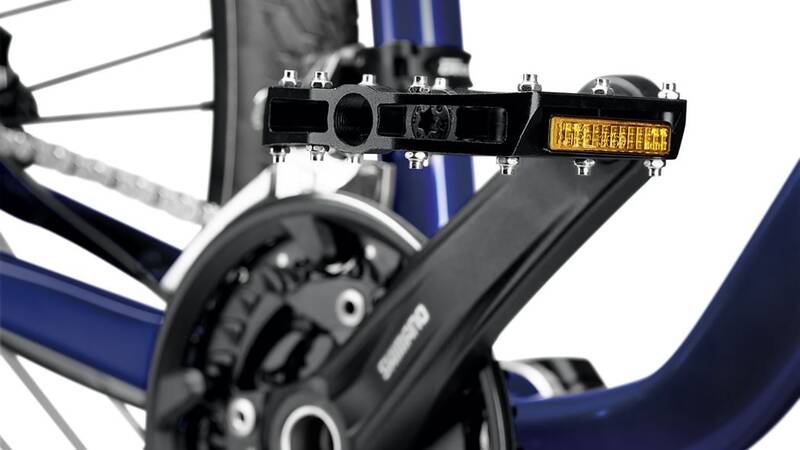 The tires are Continental Cruise Contacts in 28-inch size, and the brakes are hydraulic Shimano discs. 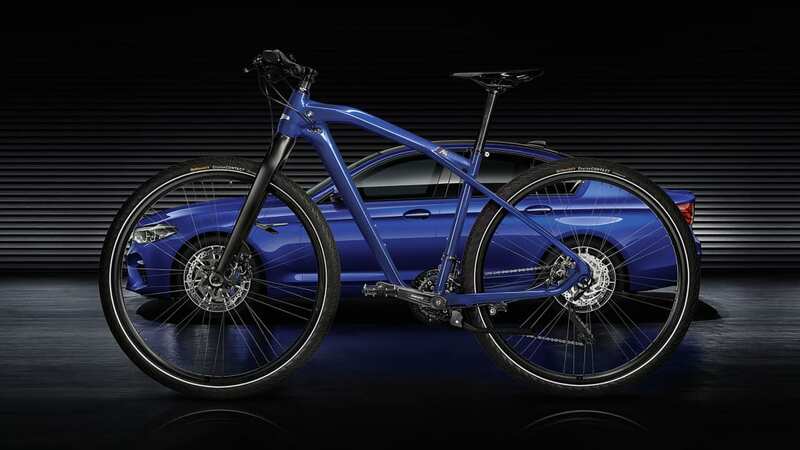 The bike is available from selected BMW dealers, and it's priced at a cool 1,400 euros, or $1665 — about a tenth of what Audi charges for its e-bike.